My hotel, Gasthaus Backmulde, was a short walk around the corner from the bus stop and it resides on a quiet backstreet between the Hauptstraße pedestrian street and the main road along the river. It was small and charming with a decent sized room that had all the basics I needed, including Haribo gummy bears on my pillow. Gummy bears are a thing in Heidelberg. As it was going on 9 in the evening, I took a short walk along the pedestrian street to get my bearings and find dinner, which ended up being a delicious cheeseburger from Die Kuh Die Licht. The next day I milled about getting coffee and meeting my best friend at her shuttle stop, but I was feeling a little under the weather between heat and jet lag so we had the good sense to go back to hotel and take a short nap. Afterwards we explored on along the Hauptstraße and I really cannot stress this enough: Heidelberg is a very charming university town. It's both old and modern, and very easy to walk around. We took in the sights, and enjoyed the stunning view of the Old Bridge. The food options around Heidelberg are very diverse and hit on anything you could want; currywurst, they got you. Burgers, all set. Thai and Asian, you're in luck! Italian, bring on the meatballs! There was a very cool bar a short walk from our hotel, Regie, that has a very Hollywood-themed cocktail list of good drinks and some good bar food for when you just want something uncomplicated and tasty to snack on. I was oddly in the mood for nachos and salsa that night, and Regie delivered. 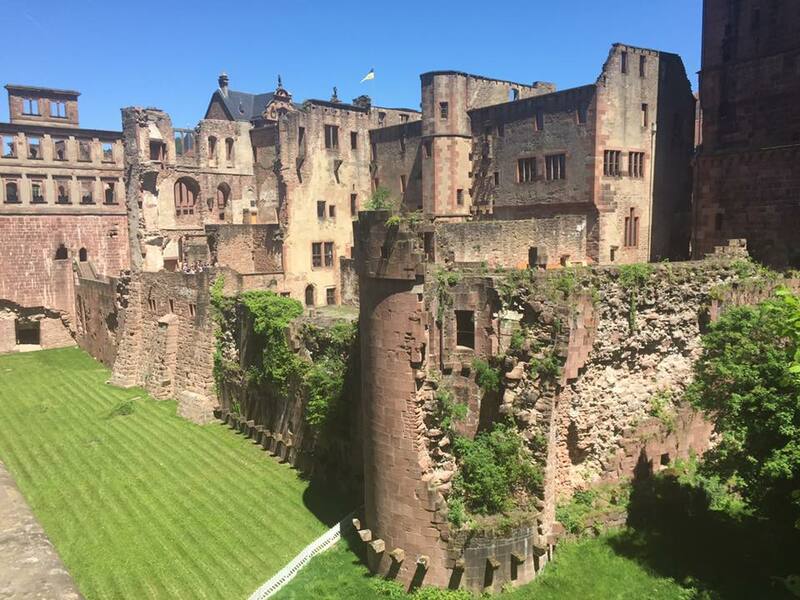 Later on in the trip, we visited Heidelberg Castle, which is worth touring for the view alone, but also for some cool parts like the Apothecary Museum inside. It's a beautifully preserved castle with some very interesting architecture. Overall, Heidelberg is a very cool town, very chill, affordable to visit and has a small town feel while also being very vibrant yet relaxed. I wish we had spent another day there and I think it's a wonderful town to visit as an introduction to visiting to Germany. With it being an hour from Frankfurt or two-ish from Dusseldorf, which are two of the common airline end points in that region of Germany, it's pretty easy to get there and absolutely worth visiting. It also makes a great home base if you end up exploring nearby towns like the spa town Baden-Baden, the Black Forest, or even a day trip over to Strasbourg, France. 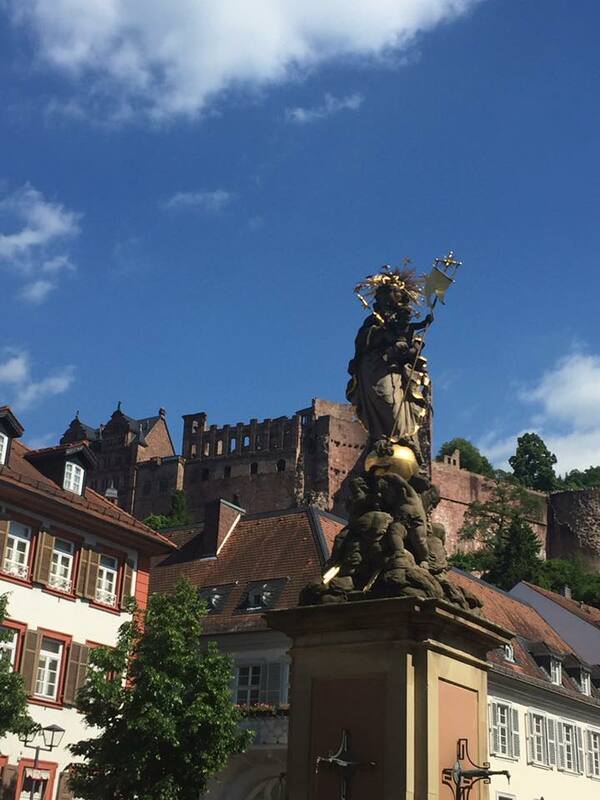 Consider Heidelberg for your next visit to Deutschland, you won't be sorry.